With the Tokyo Olympics only two years away, enthusiasm for all sports among the young and old and men and women is growing in Japan. Sports are not just activities that increase physical strength and health, but they are also known to have a positive effect on cognitive ability and one's psychological state. In this blog, I have also discussed the beneficial effect of exercise as indicated on cognitive tests (Director's Blog: Exercise Makes You Smarter!). We can say that it is fun to both watch and play sports, and sports are undeniably good for both the mind and the body. When we refer to "playing outside," we mean physical activity besides physical education at school. On their first visit as outpatients, I always ask children some questions that are intended to check their understanding and social skills such as "What do you like to do when you play?" Although many of them answer "video games," "playing tag" is also a popular answer. Some answer with a variation of the game such as "high place tag" or "color tag." Thrilling, exciting, and with simple rules, tag is an outdoor game that children always love. In elementary school, I remember enjoying a variation of tag called the "torpedo boat captain." Older Japanese readers may remember playing the game, but let me briefly explain for those who aren't familiar with it. First, the children form two groups, each of which is headed by a commander, and some of the players become a torpedo destroyer while others are the torpedoes. If your commander is touched by the enemy destroyer, you lose, but if the torpedo touches the destroyer, the destroyer will sink. The different sides and roles are distinguished by hats worn by the players. Unlike a simple version of tag, the game is interesting because it tests the teamwork of each group, and I remember being so excited when playing it. Compared with this exciting fun and physical activity that are part of playing outside, physical activity required in physical education class is not necessarily fun. Children who run fast, can jump over high boxes, or are good at pullover on bars may gain a sense of self-affirmation, but for children who are not so adept, it will be nothing more but a distressful experience. One of my children who was not good at jump rope was told by the teacher to practice with a parent, so after school, we would practice on the school grounds. My child wasn't good at it and I tried to provide instruction, and for the both of us, it was a totally unpleasant experience. Those who cannot do pullovers on bars have to practice, not with their parents, but with the assistive wall equipment. But is not being able to do a pullover or jump rope such a detriment in life that it becomes necessary to go to such lengths? Or am I the only one with such an audacious thought? Research in Canada has studied the experience of physical activity such as sports during childhood and the effect on habits of physical activity including sports after adolescence. Fifth and sixth graders were divided into two groups. One group, considered as "early sport specializers," engaged in a single sport through club activities under the guidance of an instructor. The other group, or "early sport samplers," engaged in a variety of sports with no particular guidance or coaching from an instructor. A follow-up survey five years later examined the extent to which the students took part in sports as a recreational activity. Contrary to expectations, the study found that students who engaged in a variety of sports (early sport samplers) engaged in physical activity through sports after reaching adolescence to a greater extent, 10 to 30 percent more, than students who were early sport specializers that focused only on one sport. I would infer that a group specializing in one sport is subject to strict instruction, and some students who have trouble improving their performance decide to quit, and after reaching adolescence, they stop participating in sports altogether. Amateur sports that are meant to be fun to play and performance-based sports for athletes who are required to undergo strict training are two different matters. François Gallant, Jennifer L. O'Loughlin, Jennifer Brunet, Catherine M. Sabiston, Mathieu Bélanger. Childhood Sports Participation and Adolescent Sport Profile. Pediatrics. December 2017, VOLUME 140 / ISSUE 6. 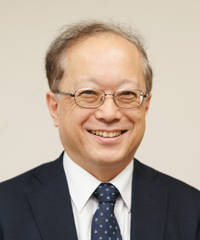 M.D., Ph.D., Professor Emeritus, Ochanomizu University; Director of Child Research Net, Executive Advisor of Benesse Educational Research and Development Institute (BERD), President of Japanese Society of Child Science. Specializes in pediatric neurology, developmental neurology, in particular, treatment of Attention Deficit Hyperactivity Disorder (ADHD), Asperger's syndrome and other developmental disorders, and neuroscience. Born in 1951. Graduated from the Faculty of Medicine, the University of Tokyo in 1976 and taught as an instructor in the Department of the Pediatrics before working with Ochanomizu University.